In Zacatecas, we teamed up with local teacher and independent publisher Oscar Edgar López Martínez to carry out a series of workshops in rural schools (telebachilleratos) around the impoverished state. 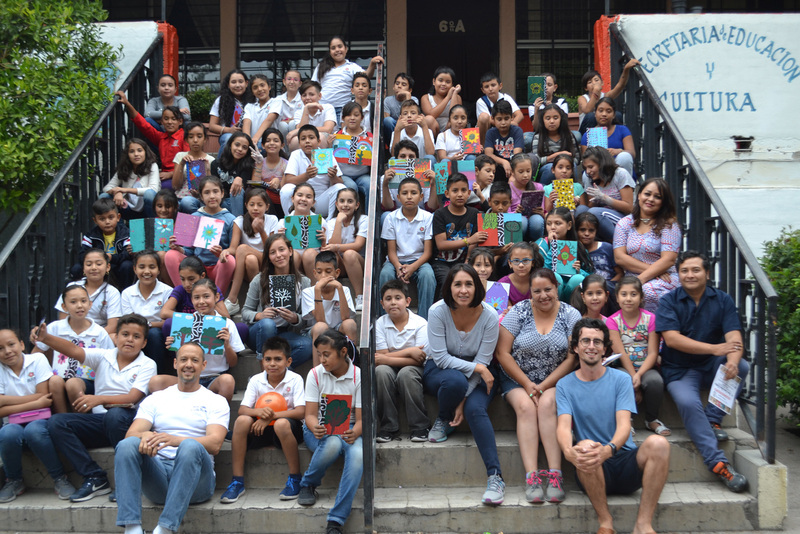 Starting with the school in San José del Carmen where Oscar is himself a teacher, we decided to create a cardboard book of medicinal plants in the local area, drawing on the knowledge of the local kids and their families. The making of this ‘herbarium’ – from the collection of plant specimens to their representation and reproduction on paper – formed the basis of the first of our cartonera films, undertaken in collaboration with local filmmaker Marco Casillas Jaquez. Over the next months we carried out further cardboard bookmaking workshops in rural schools in the municipalities and villages of Los Soyates, Susticacán, Encarnación, Villanueva, Rancho Nuevo and Francisco I. Madero. In total, over 300 books were made by children as young as six and young people as old as nineteen, while Oscar often accompanied the book-making component with a short literary workshop. In cash-strapped rural schools, pupils and teachers enjoyed the opportunity to transform their ideas into material and artistic objects, strengthen their literacy, and learn a new skill. The workshops have been tremendously diverse, and have been illuminating, allowing me to get to know young people and pupils, who are often marginalized and in conditions of poverty, the length and breadth of the state. Certain communities have been very resilient, full of effort, work, participation, communication and cooperation. The countryside here is arid, however, and also arid in terms of the availability of books and literature. The workshops encouraged young people to enjoy literature and books, and taught them a valuable method for making their own books, if they can’t afford to buy them. Making cartonera books is a way of looking after the environment through recycling, and at the same time become more intelligent ourselves. I write stories, winning the school prize, and would now like to use the technique to publish my own work!